Yesterday morning we woke up to find that a cloud sat down on our yard and made itself comfortable. I’ve got to be honest. When I ran outside to look, I felt like a kid does on Christmas morning. And, they were already unwrapped. 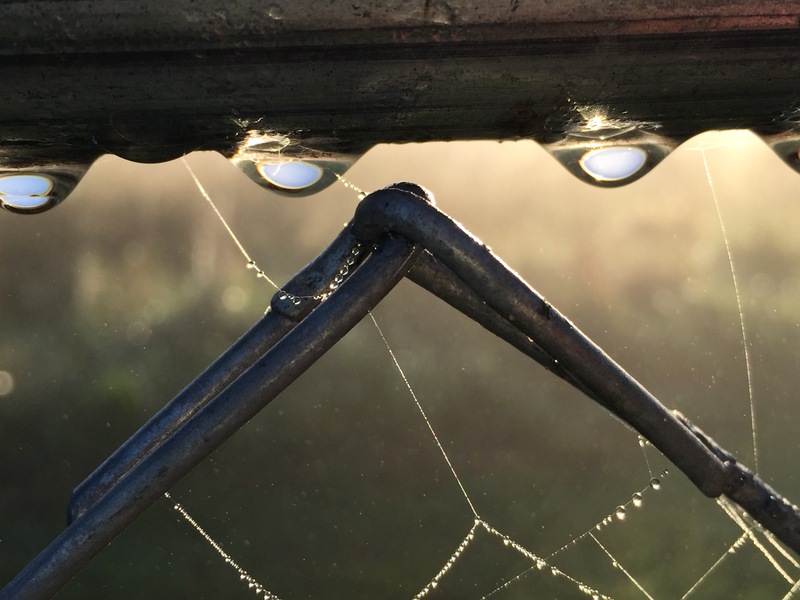 The sun glistening through wet spiderwebs. 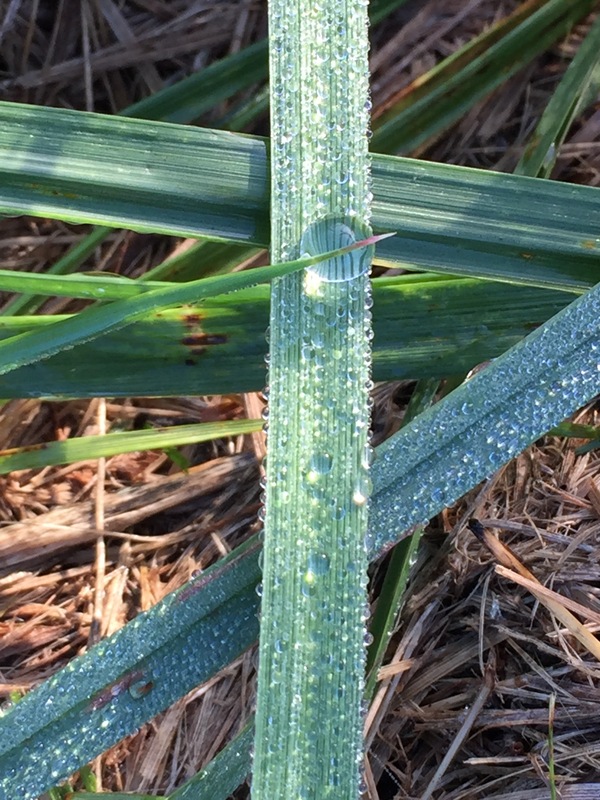 Dew drops on grass blades and the fence rails. 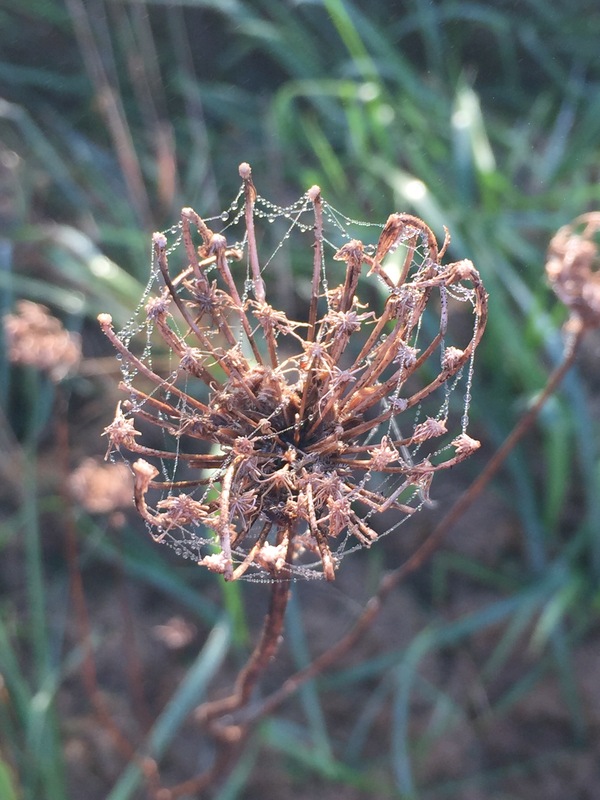 Queen Anne’s Lace decked out in a new fashion. A rainbow of sorts. Only it was in the western sky and presented itself as giant white arch made of clouds. Thank you, Mr. Fog, for showing up at my house on that day. Your show was beyond beautiful. Uh oh. Don’t like spiders?! These are great, Jessica! What a special morning. Thank you, Sandy. Have you ever seen an arch like that? 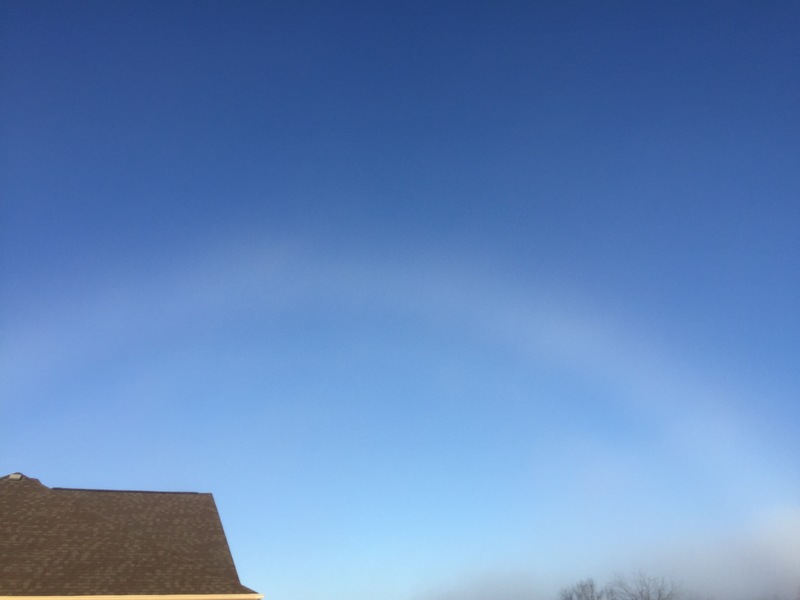 My husband said it may have been an ice halo. I have never seen anything like that. It is very cool! Yes please do. Nature is wonderful – thanks for sharing your photos. These are truly lovely. You have a great eye. Wow! Thank you! That’s super sweet of you to say. Hi sweetie! Thank you so much. How are you doing? I am good, thank you-and hope you are. loving the weather and loved spending time with family on my break. Thought of you today as I remembered a quote from Bridges of Mad Co-sometimes a mother has to be still and let everyone else move- I love the music too-composed by Eastwood. Hope your night is sweet! Oh…I love that line. Needed that this evening. Bless you💖. I’m happy that you are good and spending time with your beloveds. I’m honored that you thought of me with the movie. Makes me smile. Hi there. Wow, I really appreciate that! :) Thank you. Hey girl. Thank you. 💗 Can hardly beat the beauty of a foggy morning around here. When we walked outside, we could see the spiderwebs all over the grass. They were just so perfect. And, even on the chain links, there were webs. 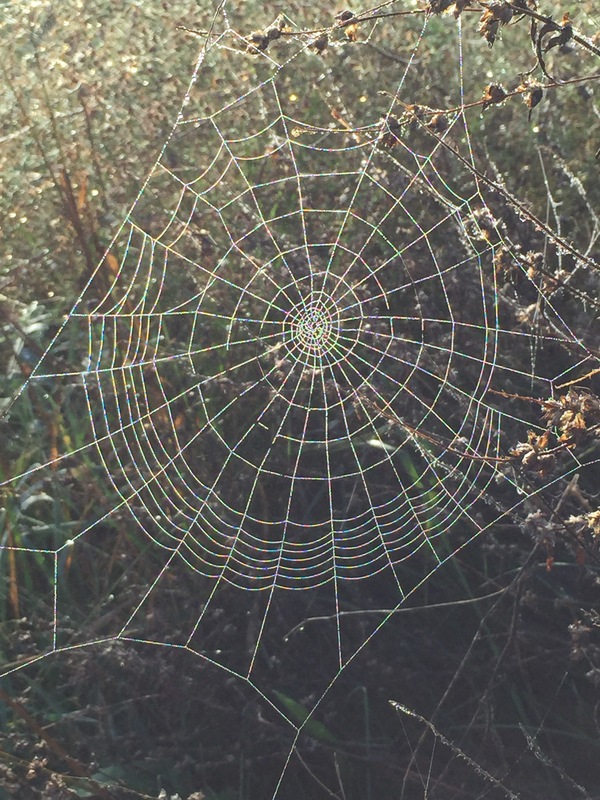 On those webs, the tiniest drops of water. You would’ve loved it, too. 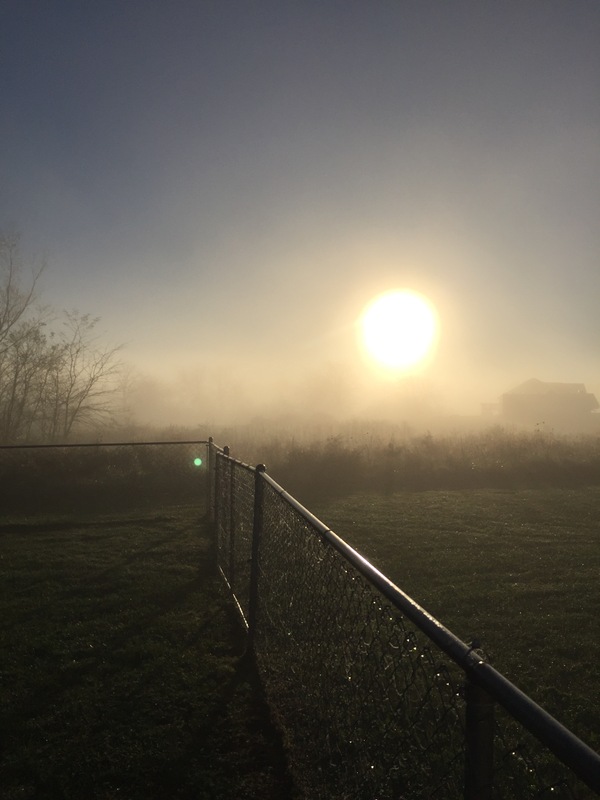 I love a beautiful, foggy morning – just perfect! We do! Yesterday was a gorgeous foggy morning. Today was overcast and clear – still nice, but not quite as nice as yesterday! I have heard the same – I’m very fearful. All of this great weather suggests when winter arrives, it will arrive with a vengeance. I cherish a lovely, foggy morning – simply great!..